The industrialized world lies in ruins. Fossil fuels are gone. In isolated parts of the countryside after the Third World War, life goes on – however, the future looks more like the past. Amariah Wales, a 19-year-old inventive aristocrat, dreams of the wider world he’s never seen, longing to escape the expectations of his doting parents as he toils in Vermont’s last biofuel refinery. Then one night, he finds himself hurled into a battle between the authoritarian Stakeholders who control the refinery, and the rebellious farmers who have been forced to grow oilseed instead of food. Fleeing for his life, Amariah is branded a fugitive by the local militia and hunted for the knowledge that gives them control over the sky. He allies himself with a mysterious group of rebels, seeking to avenge his family and end the Stakeholders’ corrupt reign. When the rebels’ mountain stronghold is discovered, Amariah is forced into a confrontation that could change the course of history – and restore light to a world lost in the shadows of the DARK PEAK. 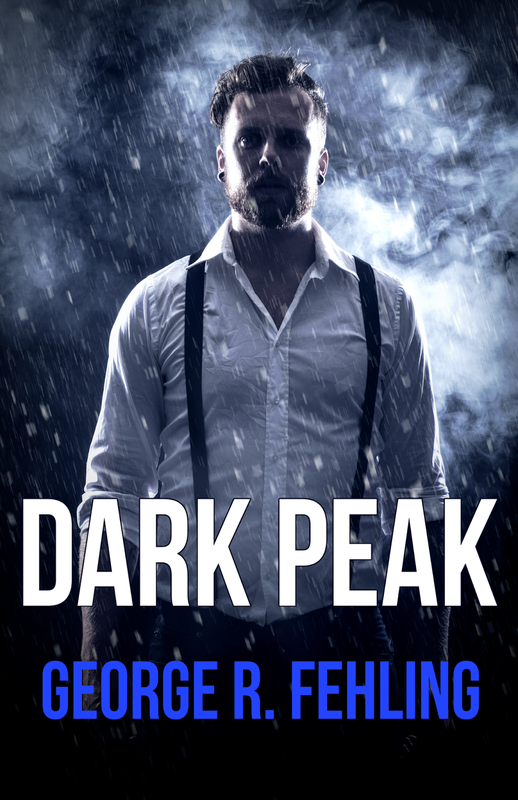 "A taut, fast-paced thriller set in the post-petroleum Northeast, George R. Fehling's Dark Peak is a highly readable addition to the small but growing genre of fiction set in a future on the far side of the industrial age -- a future that is being created by today's misguided choices. Not to be missed."